There are two really big changes happening in today's post, which is actually quite big for me, being a type of person that is absolutely terrified of changes. So the first one would definitely be my hair. Yup, after more than 20 years of having long hair, I decided it was time to take a risk and voila, I've been rocking this hairstyle for a week now and I absolutely love it! Which brings us to the second change which is actually the main focus of today's post- flared jeans of course. I know fashion repeats itself all the time, but after the skinny jeans invasion, I never really believed that flared jeans stood any chance of coming back. And well, look at me now! All I can say is I can't wait to see which big change fashion (or life) is about to bring next, as I'm definitely no longer afraid to try it! You're totally rocking this outfit as well as these flares! Well done! 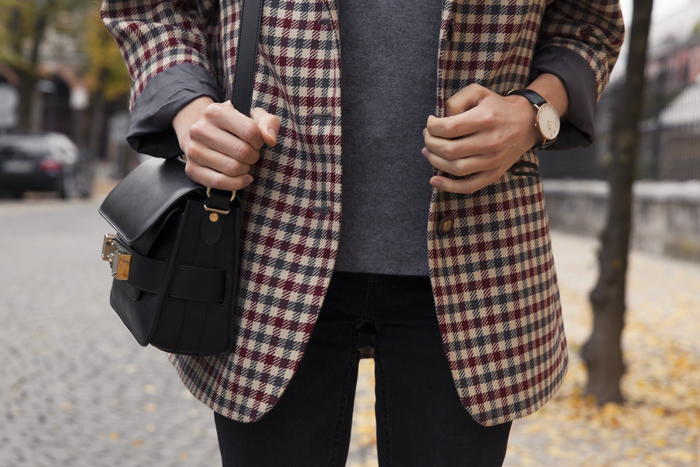 Perfect fall look, love the pics! You look so much better with short hair! Its the perfect length for your face.